This fun tutorial comes courtesy of my nephew!! 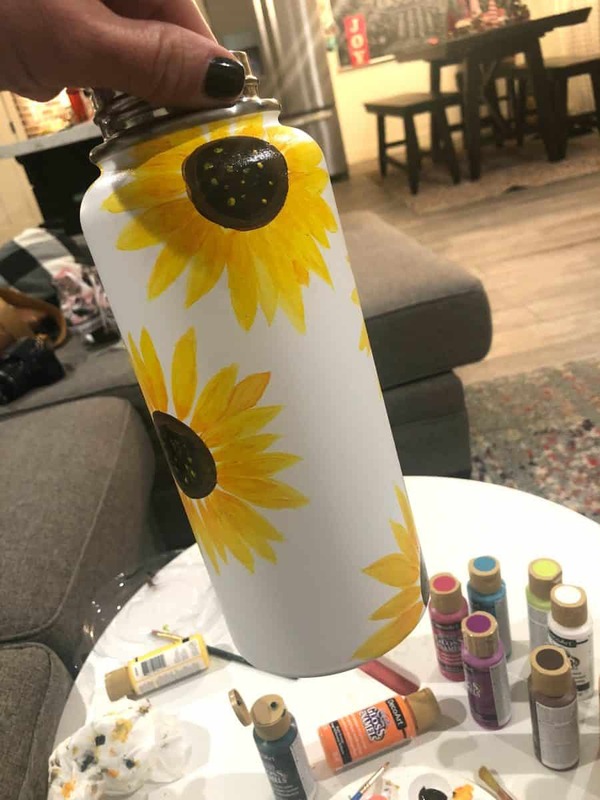 I got a message asking if I could paint sunflowers on a water bottle for a gift for Christmas. I knew that most regular craft paint would come off in water. 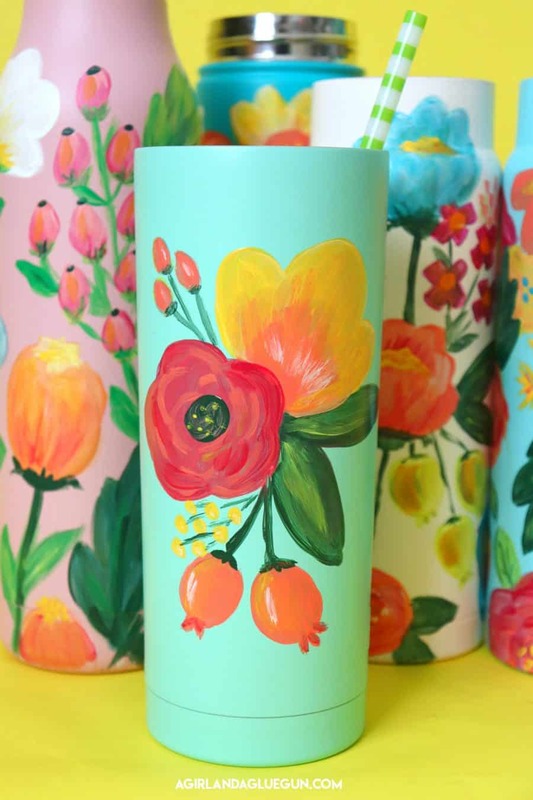 And as much as I love vinyl-I knew it wouldn’t quite look the same as hand painted (variations of color and whatnot) So I got on Decor Art’s website and found out they had ACRYLIC paint! So I got painting!!! First up: I scored all these awesome water bottles from Walmart. I really think they have something for everything. 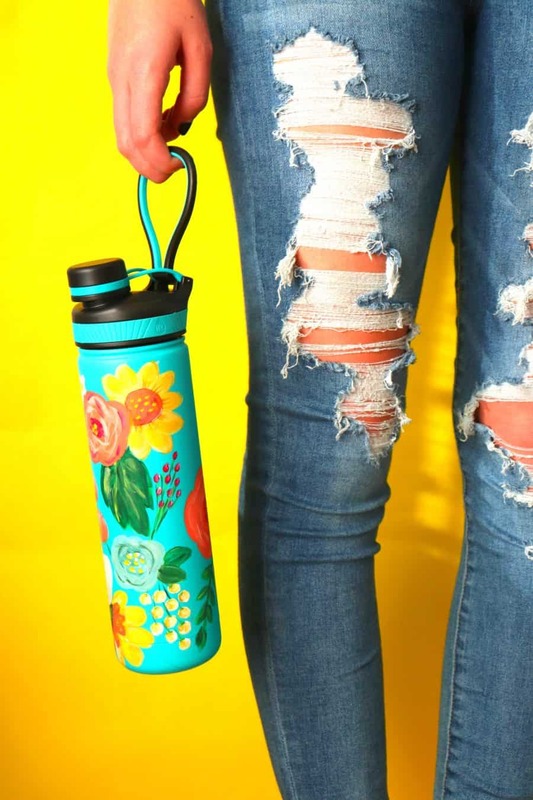 They are coated in fun colors and keep your drinks cold for so long! They are also hand-washable would is good since I wasn’t sure how my paint project would hold up! 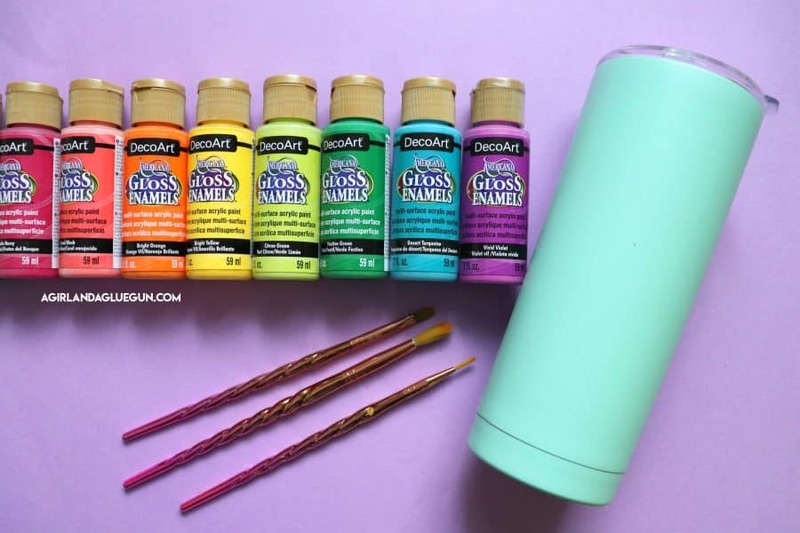 This is what the gloss enamels acrylic paint looks like–great color choices! They are technically meant to be used on glass (and I HAVE used them and they are amazing for glass!) 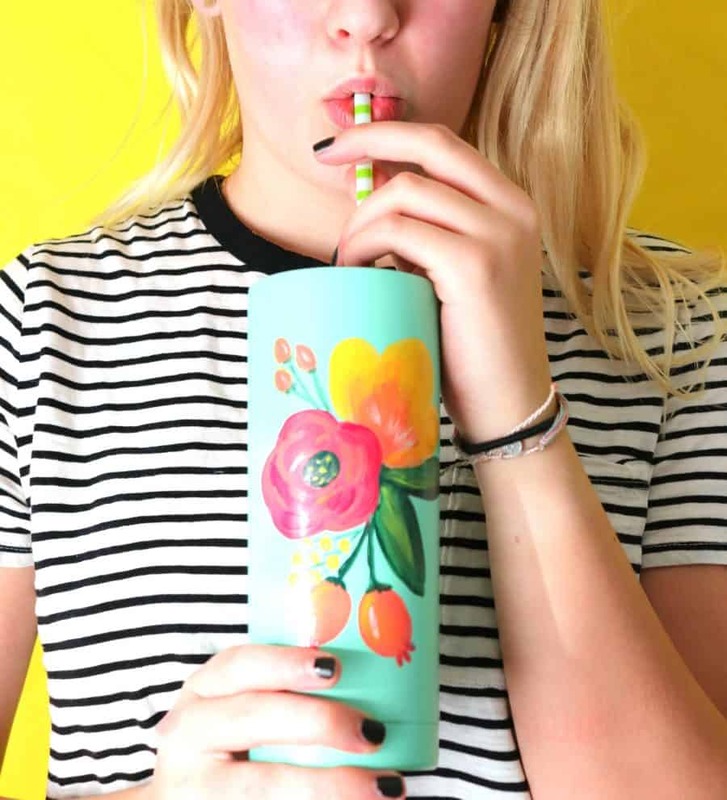 They didn’t work quite the same way on these cups as they do on glass–but we will discuss that down below! 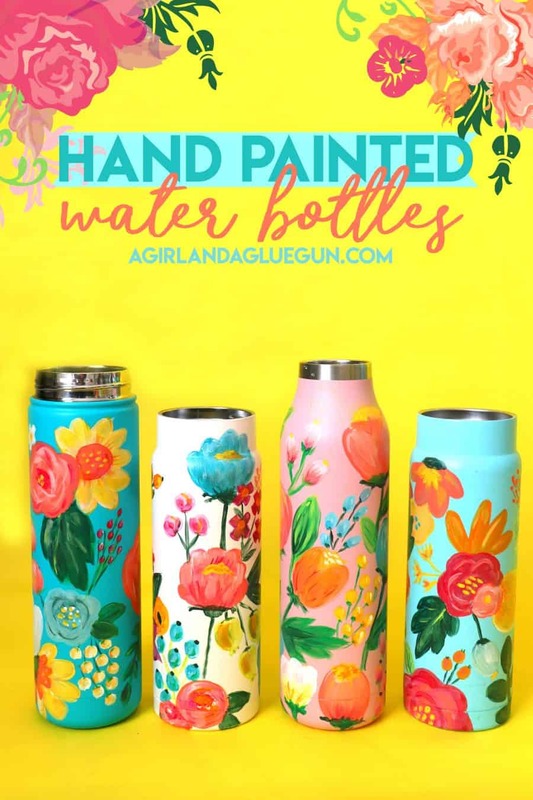 Some things to remember: The paint dries quickly…Which is good because you need a few layers to get vibrant colors on these water bottles. You don’t want any clumps-and make sure your water bottle is clean. I wiped mine down with an alcohol wipe. 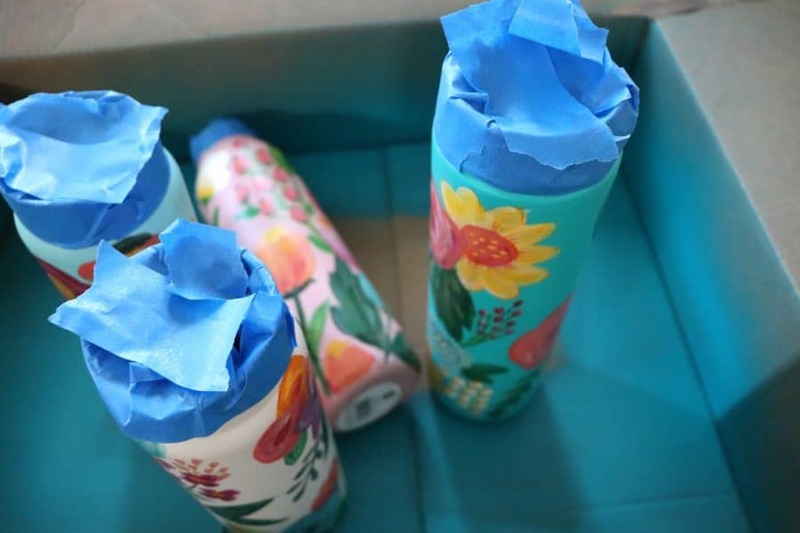 As I was working on my nephew’s water bottle I kept thinking–it’s working! As long as there weren’t any “globs” I couldn’t really scratch it off with my finger. The Gloss Enamels instructions are to paint and let cure for 4 days and then put in the oven to set it. Since these water bottles aren’t glass I didn’t’ dare put in the oven. But I did let it sit to “cure” . Then I tried washing it. Nope. When water hits it…it’s super easy to scratch off. cue the disappointment! DARN! I thought I was so clever. I know you have probably seen those amazing epoxy–But MAN those things are intimidating! So much work and opportunity to ruin your water bottle. So instead, I ran to the store and looked up spray paint. 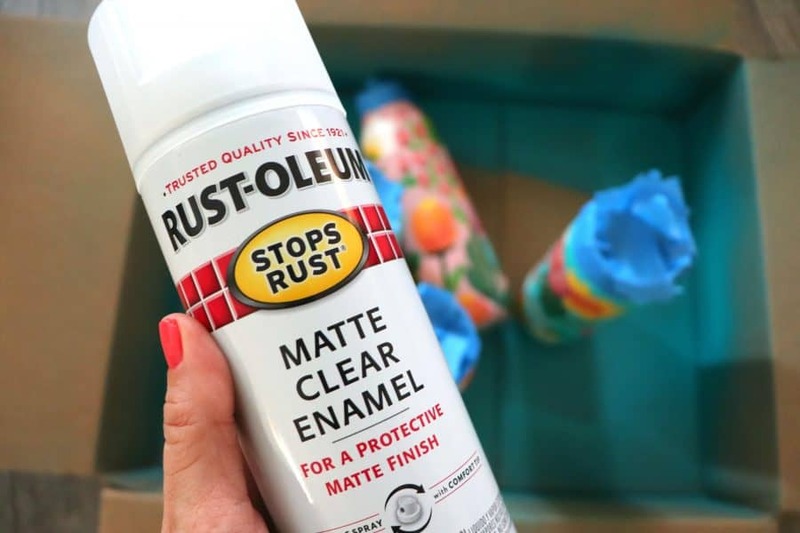 My cups were all matte–so I found this matte spray and tried it out! 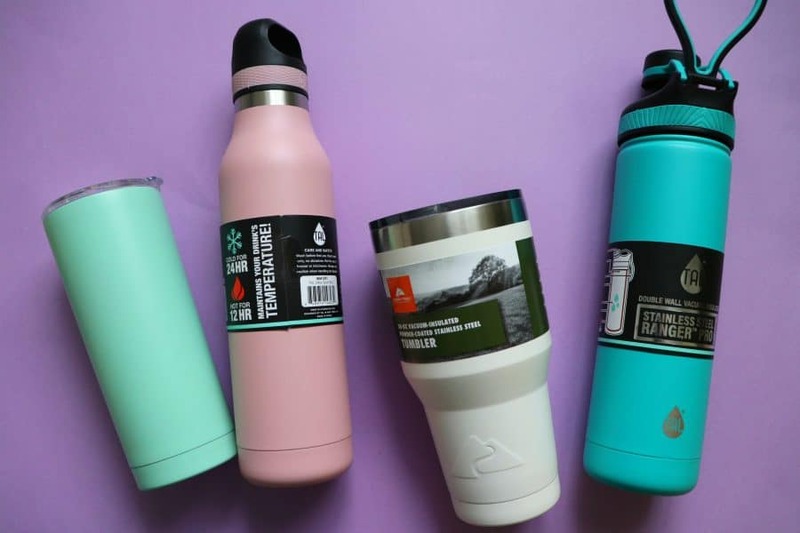 After it dried for a few days I tested it again and as long as you aren’t taking a metal scrubber to it (which you shouldn’t to begin with on these water bottles–) It holds up! 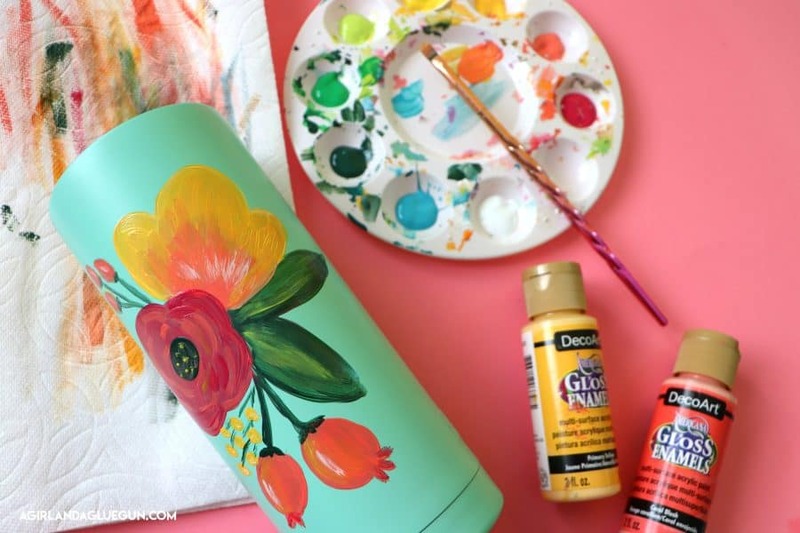 So now I’m pretty much obsessed and want to paint on all the water bottles I come in contact with! 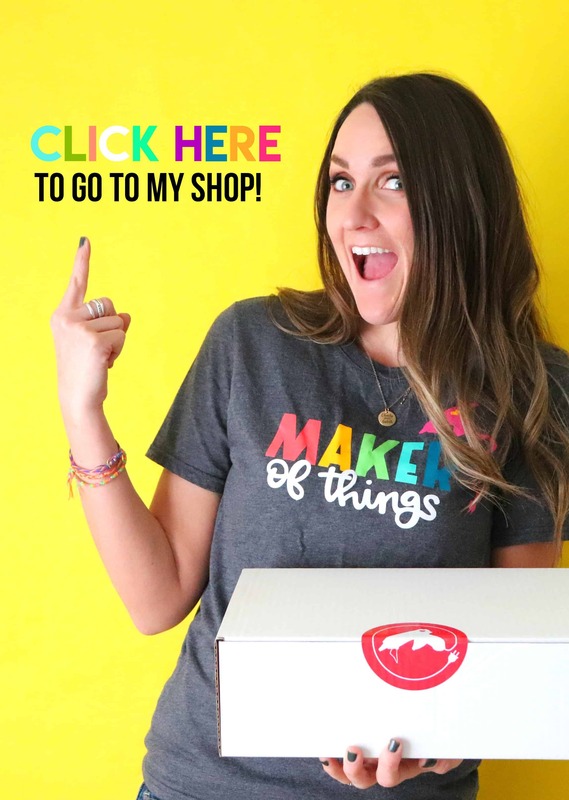 I want to make an orange one and a daisy one and a lemon one….so many fun choices!